All natural, FDA approved Medical Food for the dietary management of pain, inflammation and loss of sensation due to peripheral neuropathy. 120 capsules. Take 2 capsules twice per day (on an empty stomach). Allow at least 3 months of continuous use, for maximum benefits. Prescription required. Fax to 704-896-5809. If you do not have a script, a complimentary evaluation will be provided by Dr. Lori Schneider. If you would like an evaluation, contact me via email at lorijp@bellsouth.net prior to purchasing the product.No tax and standard shipping is included. 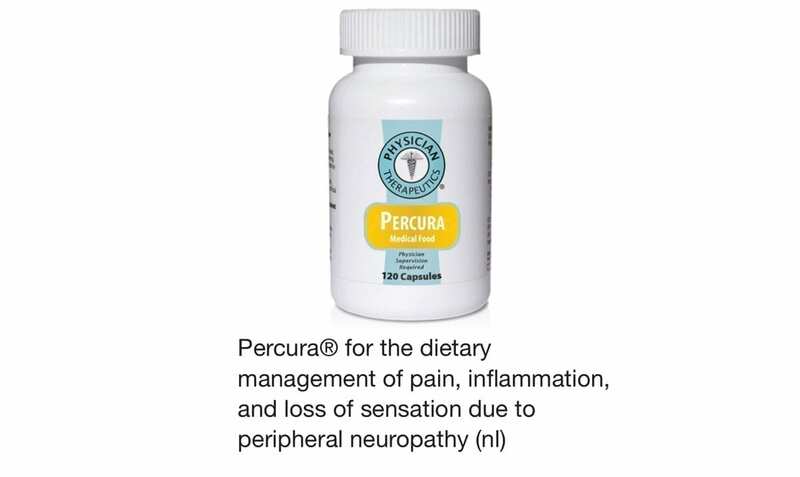 Percura is a specially formulated medication that provides your nervous system with the amino acids and nutrients it needs to selectively manage pain, inflammation and numbness. Percura works with your body over time to meet the increased nutritional requirements of pain, helping restore balance to the nervous system. Is Percura Right For Me? 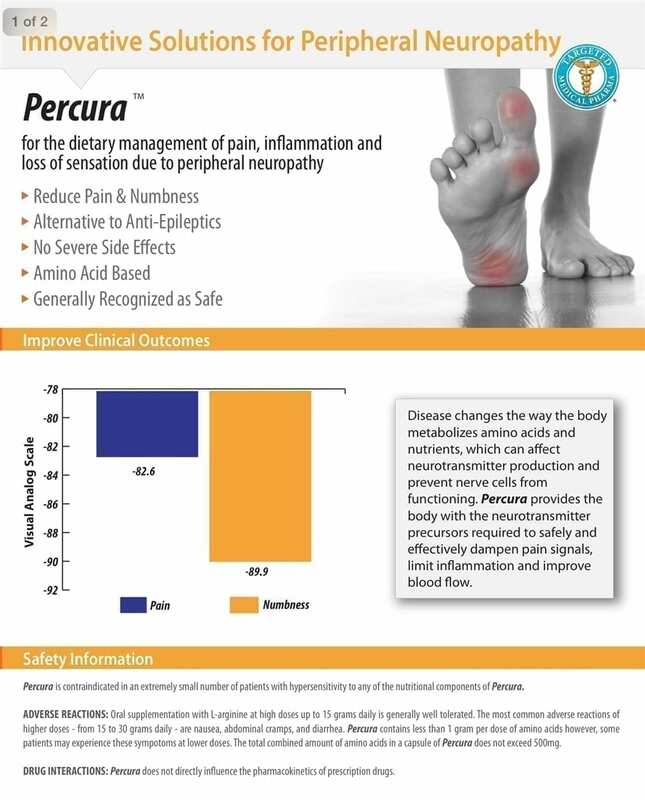 ffective at reducing pain and numbness in patients with peripheral neuropathy. 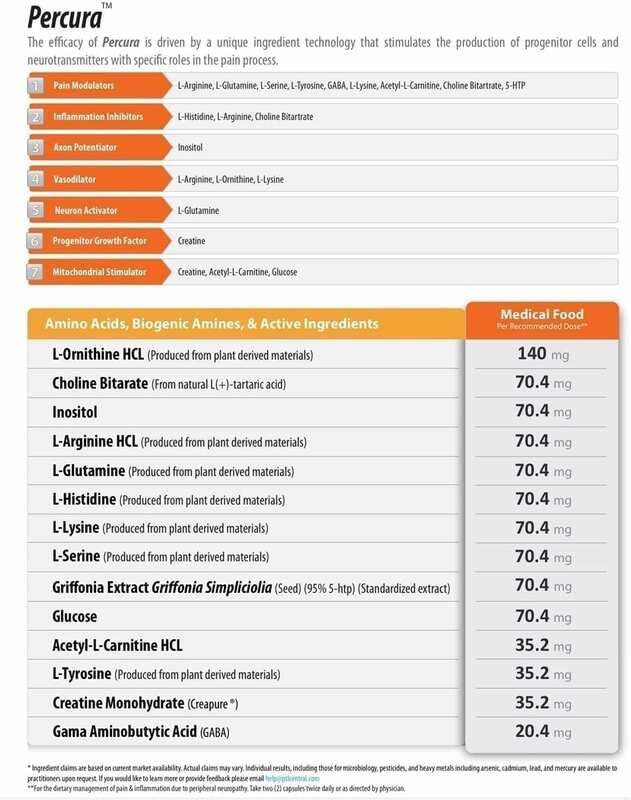 determined by the FDA to be GRAS, and are listed as such by regulation, in Volume 21 Code of Federal Regulations (CFR) Sections 182, 184, and 186.